This year's Army Emergency Relief fund-raising campaign runs from March 1 to May 15, 2019. 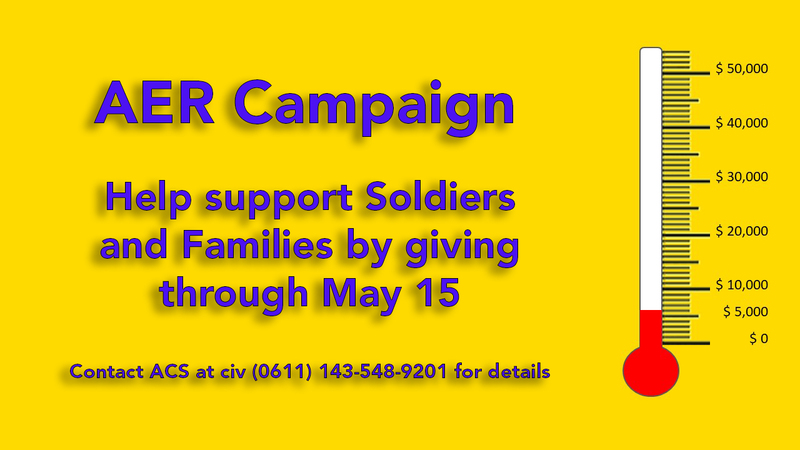 During the campaign everyone has the opportunitiy to give to support service members and their families through AER. The relief organization, founded in 1942, helps Army personnel with emergency financial aid in the form of loans and scholarships for family members. Upcoming events include an AER Run on April 26 at the Wiesbaden Sports, Fitness and Outdoor Recreation Center and an AER Golf Tournament on May 17 at the Rheinblick Golf Course.